Luc Blanchet is one of the laureates of the "Special Breakthrough Prize In Fundamental Physics" for the detection of gravitational waves, 100 years after their prediction by Albert Einstein. Luc Blanchet, senior researcher in theoretical physics at IAP (CNRS-UPMC), is one of the laureates of the "Special Breakthrough Prize In Fundamental Physics" awarded for the detection of gravitational waves, confirmation of the prediction by Albert Einstein a 100 years ago (© Jean Mouette IAP-CNRS-UPMC). The prize has been awarded for one third to the three physicists who initiated the Laser Interferometer Gravitational-Wave Observatory (LIGO): Ronald Drever, Kip Thorne and Rainer Weiss, and, for two thirds, to the 1005 members of the experimental LIGO collaboration, who are all authors of the discovery article published in Physical Review Letters; as well as to seven scientists external to the LIGO collaboration who contributed significantly to the success of the experiment. Among the latter are two French scientists, Luc Blanchet and Thibault Damour, professor at IHES. See the website for the official announcement of the prize, and the IAP webpage for more information about this discovery. The research activity of Luc Blanchet is mainly focused on the theory of gravitational radiation. Specifically, he studies the problem of the generation of gravitational waves by binary systems of neutron stars or black holes in the framework of general relativity. These investigations are based on the post-Newtonian approximation, and yield a very accurate description of the inspiralling phase of binary systems of compact objects prior to their final merger. These predictions are directly used in the analysis of the gravitational-wave signal in the LIGO and VIRGO experiments. Luc Blanchet has received the Langevin prize of the French Academy of Sciences, and he is a corresponding member of the Bureau des Longitudes. 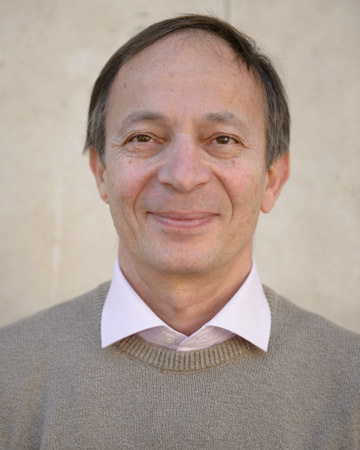 He is also the president of the Fundamental Physics group at CNES (the French National Space Agency).